Arranged in a green garden planter, the Holly Jolly Wishes bouquet is the ideal seasonal floral gift. 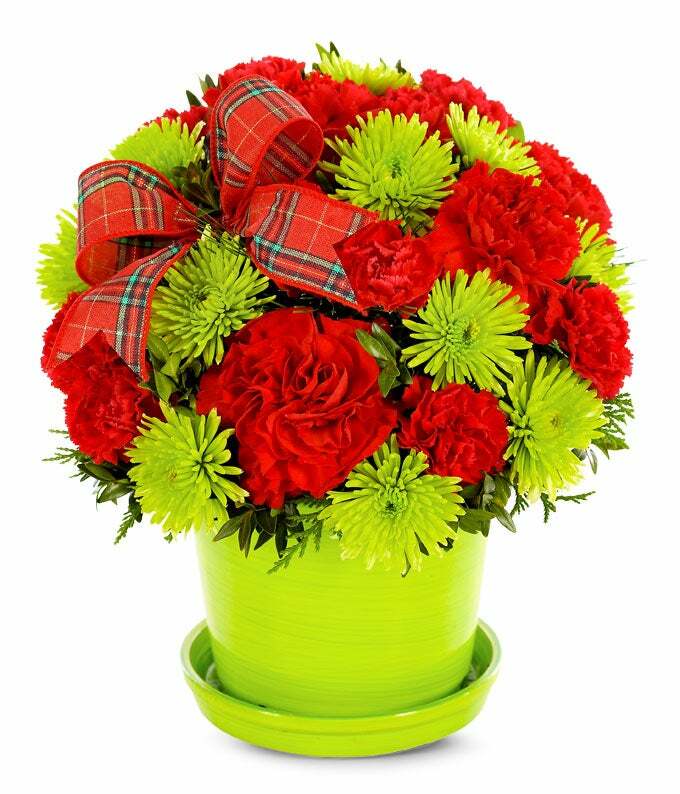 Red carnations and mini carnations are mixed with green athos poms along with a decorative ribbon. This florist arranged bouquet is sure to send festive wishes to your recipient.